The Westview Jazz Band is designed for instrumental music students seeking a more contemporary performance experience. An audition in the spring is required for participation. Click HERE to visit our Media Page with recordings. 1st Place at the West Salem Jazz Festival 2017! Jazz, swing, big band, Latin, rock, pop, blues, funk and fusion are among the many “jazz” styles that will be studied. Students will be exposed to jazz theory and improvisation. 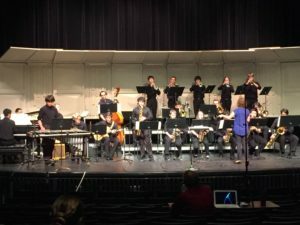 Enrollment in Jazz Band is strictly limited to students who are concurrently enrolled in Concert Band, Symphonic Band and Wind Ensemble, with exceptions for students who play only drumset, guitar, bass guitar and piano/keyboard. Students taking 7 classes (one of which is a band) may waive their Study Hall and enroll in Jazz Band as their 8th class. Auditions for jazz band are held in early April for the following school year. 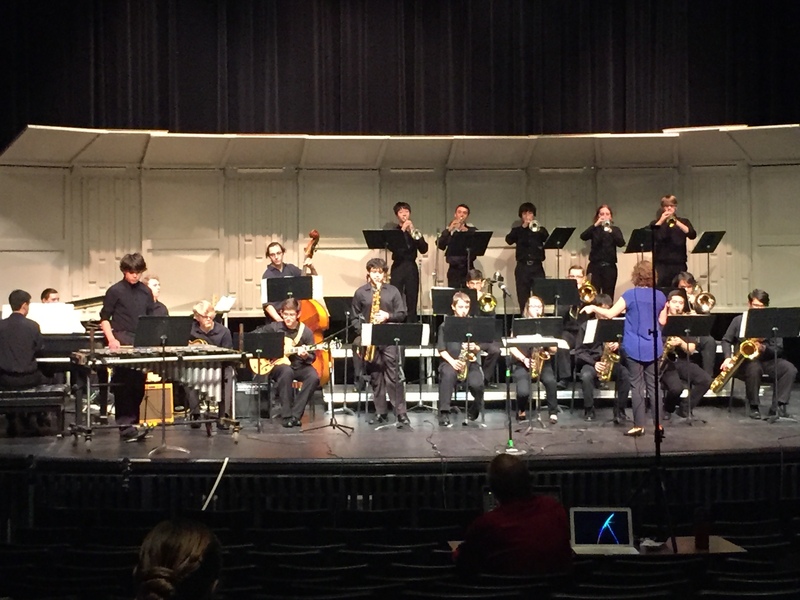 The Jazz Band performs at school concerts and 3 adjudicated festivals per year: The Metro League Jazz Festival, West Salem Jazz Festival, and the Mt. Hood Community College Jazz Festival. NEW IN 2017: We are headed to the 1st Annual State Jazz Festival!